Although he is technically too young, Scipio Aemilianus is elected consul for the next year. This year saw the death of Tiberius Sempronius Gracchus, the great statesman and general noted for his victories in Spain (see 179 BCE) and on Sardinia (see 176-175 BCE). 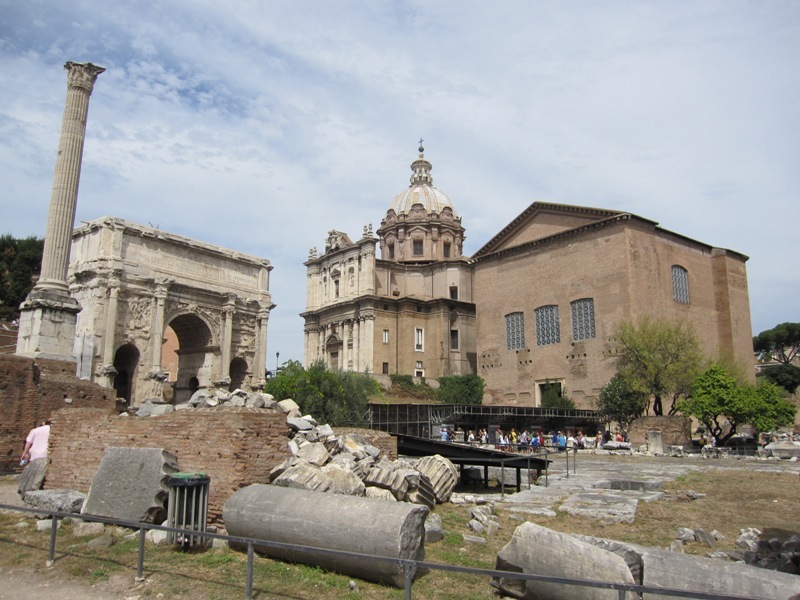 Gracchus had also served as censor in 169 BCE and left his mark on the city by building the Basilica Sempronia on the Forum Romanum. He had been married to Scipio Africanus’ daughter Cornelia, who had born him twelve children. Among these children were Tiberius and Gaius Gracchus, who would gain fame and notoriety as people’s tribunes in the 130s and 120s. The couple also had a daughter named Sempronia, who married Publius Cornelius Scipio Aemilianus, the great Africanus’ grandson by adoption and therefore formally her cousin. The elder Gracchus was sorely missed by the Romans, and so was Marcus Claudius Marcellus, consul in 166, 155 and 152 BCE and celebrator of multiple triumphs. 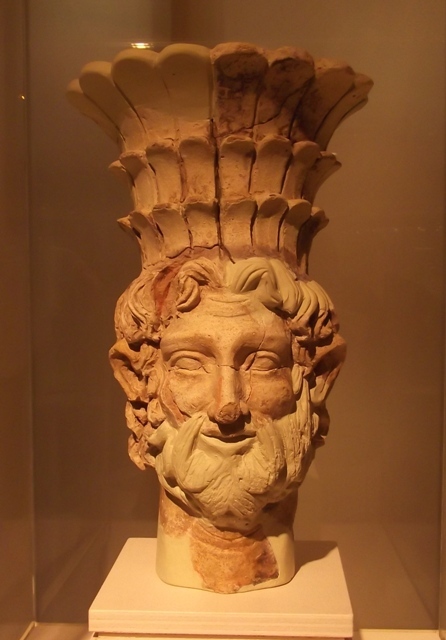 He drowned while on his way to Rome’ faithful ally King Masinissa of the Numidians. Masinissa also died this year. Although he had initially fought against the Romans during the Second Punic War (see 211 BCE), he had defected to them in 206 BCE and had served them loyally ever since. The king had always been in rude health, but died of old age nonetheless. He was 90 years old at the time. His death was a great setback for the Romans, who were struggling in the Third Punic War and now needed to work with the king’s successors. The aforementioned Scipio Aemilianus was tasked with dividing the king’s territories among his three legitimate sons, Micipsa, Gulussa and Mastanabal. In doing so, Scipio probably acted in accordance with Numidian customs and tradition, but the division temporarily weakened the Numidian kingdom. Of the three brothers, Micipsa took up his seat in the royal palace at Cirta while Gulussa and Mastanabal were charged with military and legal matters respectively. Mastanabal had an illegitimate son named Jugurtha, whose mother was a concubine. He would later be adopted by Micipsa and the Romans would certainly hear more of him in later years. Unlike the previous year, the Senate decided not to send two consuls to Africa to fight the war against Carthage. One would suffice. Spurius Postumius Albinus Magnus was kept in Rome, while Lucius Calpurnius Piso Caesoninus was charged with taking over command of the Roman army from his predecessor Manius Manilius. Manilius had launched another attack on Hasdrubal the Boetharch in the vicinity of Nepheris. Although the expedition was better prepared and executed than the previous one, Manilius still achieved nothing. Roman morale was somewhat raised when Scipio (still serving as a tribune) managed to bring about the defection of Himilco Phameas, the cavalry commander who had given the Romans so much trouble the previous year. Manilius sent Scipio and Himilco to Rome, where the latter was richly rewarded by the Senate. Himilco promised to loyally serve Rome and then set sail for the Roman camp in Africa again. In the meantime, the new consul Piso had arrived near Carthage. The legate or propraetor Lucius Hostilius Mancinus – possibly the son of the consul of 170 BCE – had been given command of the fleet. Like his predecessor, the new consul failed to achieve anything. He did not attack Carthage nor did he pick any fights with Hasdrubal the Boetharch. Piso did attack the town of Aspis, where the Roman army had landed in 256 BCE during the First Punic War. The consul was, however, repulsed and then contented himself with sacking a nearby town, probably Neapolis, which was not even a Punic city (it had been founded by Greeks). 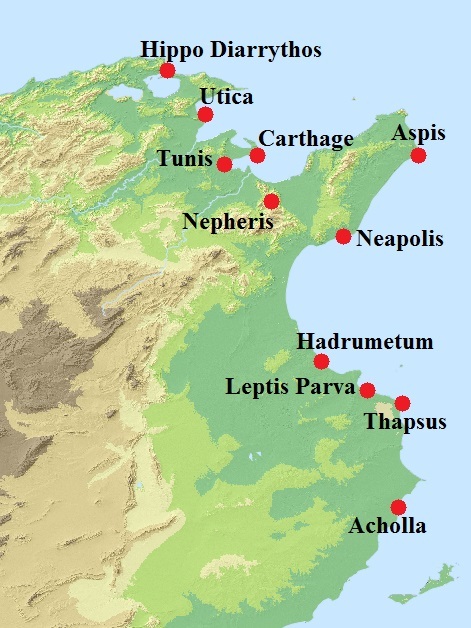 Piso then suffered a setback at an important city that Appianus calls ‘Hippagreta’ (Ἰππάγρετα) and that according to him was located between Carthage and Utica. Since there is no city of that name, we must assume that our historian meant Hippo Diarrhytos, a large city that lay west of Utica. Hippo Diarrhytos was defended by strong walls and a citadel and – most importantly – had a harbour and famous docks that had been built by Agathocles, the Tyrant of Syracuse (317-289 BCE) who had invaded Africa in about 310 BCE. The Carthaginians used the harbour extensively during the Third Punic War and sent out ships to prey on Roman supply vessels. This was a practice that needed to be stopped, and the consul laid siege to the city the entire summer. Unfortunately for the Romans, they never even got close to taking Hippo. Twice the defenders sallied and twice the Roman siege engines were burned. In the end, the consul decided to break off the siege and return to Utica to make his winter quarters there. 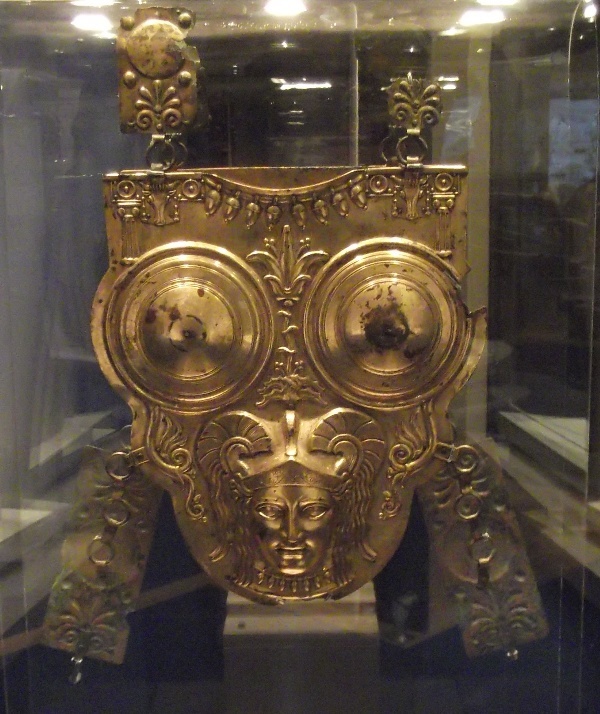 Punic cuirass, made of bronze (Bardo Museum). The situation in Africa was not looking good for the Romans. They had not got one inch closer to conquering Carthage, a city that was under a loose siege at best. A few hundred horsemen had defected from Gulussa and even Micipsa and Mastanabal seemed to be wavering in their loyalty. Hasdrubal the Boetharch now returned to Carthage and devised a plot against his namesake, Hasdrubal grandson of Masinissa. He accused the latter of conspiring to betray the city to his uncle Gulussa. The case was apparently discussed in the popular assembly, where a mob – probably with strong anti-Numidian sentiments – lynched the accused when he failed to answer the charges. Hasdrubal the Boetharch was now master of Carthage. Looking for fresh allies, the Carthaginians decided to send envoys to Andriskos, the self-proclaimed king of Macedonia, encouraging him to continue the war against the Romans and promising him money and ships. Let us therefore turn to this conflict, the Fourth Macedonian War. The praetor Publius Juventius Thalna had by now reached Macedonia, where he was confronted by Andriskos with his mixed army of Macedonians and Thracians. Rather surprisingly, the latter managed to win a resounding victory over the Roman commander. Although some of his soldiers managed to get away, the praetor was killed. The defeat was more humiliating to the Romans than it was serious: on previous occasions they had decisively defeated far larger armies led by the legitimate kings of Macedonia, but now they were defeated by a pretender and his mob. The Senate quickly sent a new praetor to the region. This Quintus Caecilius Metellus proved to be a lot more competent. Although the details of his campaign against Andriskos are a bit hazy, he seems to have defeated the Pseudo-Philippos in the vicinity of Pydna, where the Romans had won their great victory over Perseus in 168 BCE. Andriskos was then defeated again and subsequently captured. Metellus acquired the agnomen Macedonicus for his victories. More importantly, the four republics were dissolved and Macedonia was turned into a Roman province. From now on, a Roman magistrate would constitute the highest civil and military authority in this part of the Ancient World. It was a process that took some time, as the new province would also comprise Thessaly, Epirus and parts of Illyria, Paeonia and Thrace. Achaea – the territories controlled by the Achaean League – would be added two years later after another war. In December, new elections for the consulship were held. Scipio Aemilianus was now 36 or 37 years old, so under the provisions of the Lex Villia of 180 BCE, he was technically too young to be a candidate in these elections. Scipio therefore ran for the office of aedile, for which he certainly had the required age. News about his exploits in Africa had however reached the city and especially the voters. The comitia centuriata apparently believed that the war against Carthage could only be won if Scipio were to lead Rome’s armies the next year, and the people subsequently elected Scipio as one of the new consuls. As this was technically illegal under the Lex Villia, the presiding consul objected and his intervention caused a great uproar among the people. The Senate ultimately asked the people’s tribunes to propose to the concilium plebis to set aside the law for one year only, which the concilium duly did. The whole story, told by Appianus, seems to be a highly dramatised version of what had really happened. It simply seems inconceivable that Scipio was truly surprised by his election. Moreover, his age cannot have been that much of a problem. His grandfather had only been 30 or 31 years old when he was elected consul in 205 BCE (this had admittedly been 25 years before the Lex Villa was passed, but the election had still been a break with tradition). Aemilianus was several years older and just a few years short of the age required for the consulship, which was 42 or 43. The Romans furthermore had a habit of deviating from existing laws in dire circumstances, so suspending the Lex Villa for just a single year to get an exceptional commander elected to lead the Roman army against its archenemy was hardly unprecedented. Even before the consuls formally took up their offices on 1 January, Scipio’s future colleague Gaius Livius Drusus proposed to draw lots for the province of Africa. It was clear that Drusus wanted to be given a chance to fight against Carthage as well. However, a people’s tribune put the matter before the concilium plebis and the plebs gave the command to Scipio. Zonaras (excerptor of Cassius Dio), Book XXI.9.28. Richard Miles, Carthage must be destroyed, p. 343.